I’ve been retired from active politics for more than two decades. In that time, I’ve focused on my primary business – picking winning stocks and avoiding losing stocks. It’s almost impossible to bat a thousand doing this, but I believe (and hope I’ve demonstrated) there’s a way to increase your odds. Shortly after I left the political realm, I began in earnest to take on the financial industry establishment. (Truth be told, as readers of my initial run as publisher of The Sentinel know, I actually started this years before.) As a new firm, I had to find a position that differentiated our services from our competitors. Taking on the establishment wasn’t a rebel yell, it was a marketing imperative. Quite simply, no new business can survive if it doesn’t distinguish itself from its well-entrenched rivals. How did I do this? At the time when nearly all of the industry (including its regulators) bowed to the altar of what’s been called “Modern Portfolio Theory” (“MPT”), I embraced behavioral economics. What’s the difference between the two? MPT relies exclusively on statistics and assumes all investors’ decisions are rational. It’s quite elegant from a mathematical statement. It only has one problem – real life has demonstrated without a doubt it doesn’t work. Behavioral economics is an alternative theory that had been repeatedly snubbed by established thinkers (in academia) and doers (in business). Because it is rooted in the subjectivity of psychology, leading researchers and their industry equivalents ignore it. There was only one problem – real life proved it was better. But I’m getting ahead of myself. It was about ten years earlier that I incorporated the lessons of behavioral economics into my business. Because I was one of the first – a fish swimming upstream, if you will – I got the attention of the national media. Indeed, Neil Cavuto invited me to speak on his show primarily because he read somewhere I was an “expert” in behavioral economics. And by “expert” that meant I was the only one in the industry willing to risk my reputation by talking about the subject on national TV. What does this have to do with politics? Well, although I’ve permanently left that game, that doesn’t mean I’ve stopped observing. In fact, my job requires me to continually monitor the goings-on in Washington on several fronts. First, as a business owner in a highly regulated industry (investment advice), I am forced to read and understand all the machinations from the Securities and Exchange Commission, the Department of Labor, and all three political branches. Second, as a portfolio manager, I have to keep abreast of all legislative and regulatory activities that might impact the companies I own or might be interested in purchasing. Finally, as a fiduciary consultant – and especially now – I must be able to assess the changing compliance environment for my retirement plan sponsor clients. More important, I need to conduct this analysis without any partisan slant. That’s where behavioral economics comes in. Behavioral economics is, at its roots, the science of decision making. It continually asks “Why do people make decisions the way they make them?” In particular, since this theory assumes people are not rational, behavioral economics focuses on the art of making poor decisions. Why do people make poor decisions? And what can be done to help guide people towards avoiding poor decisions? Among the fallacies identified by behavioral economies is something called “confirmation bias.” This occurs, for example, when a company (like Kodak) is clearly headed for bad news (like bankruptcy) but investors instead cherry-pick a piece of good news (like the roll-out of a new printer) and use that to justify staying in the stock. Despite the overwhelming evidence the stock will fail, the investor uses the one piece of good news to confirm an optimistic bias. 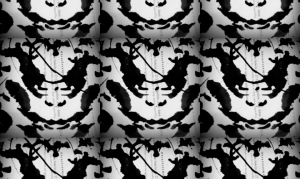 Think of confirmation bias as you would a Rorschach Test. 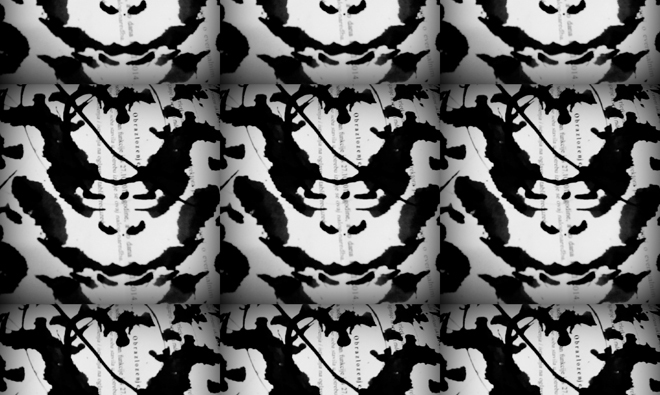 You look at the ink blot and see whatever you wish to see – there is no right or wrong answer. Unfortunately, when it comes to behavioral economics, there is a right and a wrong answer. And too often people allow themselves to be taken in by confirmation bias and make the wrong decision. This presidential campaign season has been like none other in recent history. Thanks to the outside-the-box approach by Donald Trump – and his many supporters who have fueled his success – this election has defied conventional wisdom. In the process, it has revealed the extent to which confirmation bias has warped political decision making. While this is not new, Trump’s bald (and refreshingly brutal) honesty has shown us just how many of our pretend emperors are prancing around in their underwear. It doesn’t matter if the politician is Democrat or Republican, it doesn’t matter if the pundit is liberal or conservative, it simply doesn’t matter what you’ve pretended to be – to others or to yourself. If you’ve been the beneficiary of the status quo, you will use confirmation bias to “justify” denigrating the legitimate presidential campaign of one of our era’s most successful and diversified businessmen. In the normal world, cooler minds would laugh this behavior off the stage. The problem is, those once cooler heads remain prisoners to that very same confirmation bias. If this were a mere parlor game among talking heads in some random cable show, I wouldn’t care. But the vile hatred exposure – and, amazingly, accepted – by those experiencing an anti-Trump confirmation bias has caused great – and unnecessary – concern among those who have placed an unnaturally high faith in the establishment. People are, unfortunately, irrationally worried about their future. I empathize with those people. I will remind them there once were an equal number of people worried about the future of mankind in the days leading up the Ronald Reagan’s inauguration. But a funny thing happened back then – and will happen again this time. As people became more accustomed to Reagan – the real human being not that cartoon character his opponents tried to paint him as – they grew less worried. Here was a man whose actions proved louder than his adversaries’ words. With each passing week, with each passing year, with each passing term, people realized they could live – and, more importantly, prosper – with Ronald Reagan as president. Today, only the most ardent partisan would not describer Reagan in the kindest of words. My prediction is we’ll see the same phenomenon occur with the Trump presidency. Fear will give way to acceptance. Acceptance with transform into admiration. And admiration will lead to personal prosperity. Such is the psychological economics of behavior. So, if you think you’re rational, rather than participate in the game, become an objective spectator. Constantly look for examples of confirmation bias for all sides of the political aisle. Explore how this exposes more about the person exhibiting the trait than it does about the truth of any particular candidate. If you’re really curious, read Scott Adams’ blog. Although he’s endorsed Hillary Clinton, he’s doing an amazing job chronicling how Trump is effortlessly showing everyone the psychology of winning.